During my 10 years presenting Eclectic Mainline on BCB I had the pleasure of recording live (largely) acoustic sessions with some wonderful artists. As I am giving up the programme, I wanted to re-broadcast some of my favourite session tracks before leaving. My method of recording a live session evolved over time until I ended up with a process that got the best out of the available resources. The microphones at BCB are only really suited for speech broadcasting, and the studios are not equipped for multitrack recording. But I managed to work round these restrictions. The microphones issue was easy to overcome, as I would borrow some from Wilful Missing. This entry was posted in Eclectic Mainline, Live Music, Playlists, The BCB Sessions and tagged acoustic, bcb sessions, Live Music, sessions, The BCB Sessions on April 23, 2014 by Albert. Sessions to come over the nextÂ month or soÂ from Fionn Regan, Tim and Sam’s Tim and The Sam Band, Peter Von Poehl & The Wick Effect. This entry was posted in Interviews, Playlists, The BCB Sessions and tagged acoustic, disco machine gun, fionn regan, new music, Peter Von Poehl & The Wick Effect, sessions, the birdman rallies, Tim and Sam's Tim and The Sam Band on March 10, 2010 by Laura. 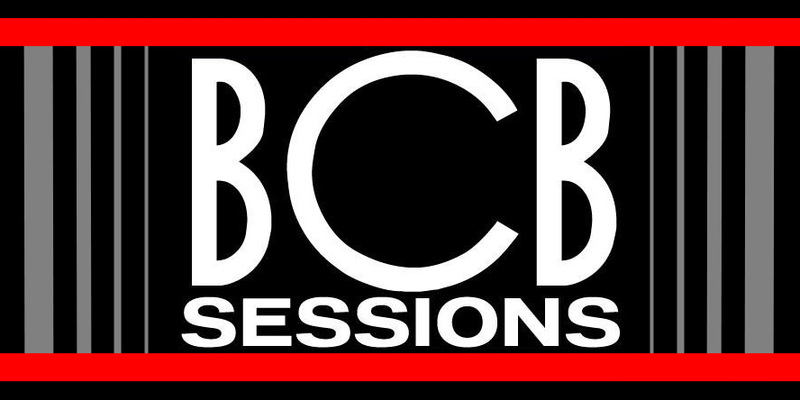 Just in case you’ve not sampled the delights of The BCB Sessions let me tell you what it’s all about. EveryÂ Wednesday night at 9pm,Â I serve up an exclusive session from a band or artist based in or playing in West Yorks, plus a choice selection of new and alternative releases. We’ve had over 100 sessions – so too many to mention here but recent guestsÂ include King Creosote, Freyed Knot, Red Wire, My Latest Novel, Stricken City, The Lodger, vAndal supreMe, The Little Black Hearts, Ann Drury, justDEFY…. Our autumn sessions are shaping up rather nicely too with sessions on the way fromÂ Disco Machine Gun (next week Wed 2nd Sept), Willard Grant Conspiracy, Meet Me In Vegas, Brigada Mercy & others I can’t reveal quite yet -Â check out the blog in a few weeks. So come and tune your ear into 106.6fm on Wednesday nights. If you’re outside of Bradford (or on the wrong side of a big hill)Â then listen in over the net. Might play you a request…. This entry was posted in Live Music, Playlists, Reviews, The BCB Sessions and tagged acoustic, BCB, dance, electronica, indie, Music, pop, radio, The BCB Sessions on August 27, 2009 by Laura.